How to Report a Power Outage Through PhoneYou can call KPLC through 0711 031000. I am however not such a fan of this method because it is not toll free and at times you need to wait for some minutes to be connected to the customer care. I like this method. You can tweet Kenya Power at their twitter handle @KenyaPower. It normally takes about 30 minutes to get a response since they get an overwhelmingly high amount of queries. It is easy and convenient though. 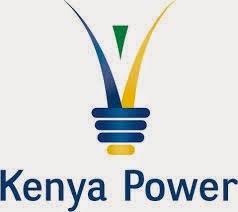 Like Kenya Power and Lighting Company (KPLC) page on facebook and shoot them your query. They’ll be happy to be of help. Just send Stima#AccountNo#Description of Outage to 95551 e.g. Stima#2201116# No power in the house. If all of the above methods fail, which is highly unlikely, you can visit this page to see other methods of contacting KPLC customer care. Account No. 2628346-01 Near Nairobi North Geothermal Substation , Ndenderu has been without power since 20th of Aug. 2016. Tel. 0716 201000 0r 0716 415 516. Today . Power has been on and off in umoja . what's happening ? We are in darkness . Ruaka kahigo area no power from morning till now.whats happening. Correction 95551 and not 9551. Thanks. Noted. I am making the correction. I am am dissapointed customer this morning. I reported power outage in my hous last night under reference 302285 till now no help and I have a stocked fridge and food will go stale. Getting to KPLC emergency line is hell of a problem really?? My prepaid meter has tokens its on but I dont have power. Surely, KPLC, why do you have to take my me through this? Am a very concerned customer. No stima at ruaka kahigo area on ur way to ndederu.now 2hrs.kindly plz assit us. No stima at garden estate from 1830hrs…please fix problems. HI, AM MICHAEL KIARIE..THERE HAS BEEN NO ELECTRICITY AT SHELL RIVERBANK ALONG KIRINYAGA ROAD NEXT TO GLOBE ROUNDABOUT.WE REPORTED THE LAST 48 HRS BUT NO RESPONSE.KINDLY TREAT THIS WITH URGENCY AS THIS HAS LEAD TO ALOT OF INCONVENIENCE ALONG KIRINYAGA ROAD. No power since 6 pm last evening 4th January 2017 around the CDF hall Freretown and the surrounding neighbourhood in Kisauni,Mombasa. Inspite of calls since,no response upto this 12 noon 5th January. Not only inconvenience due to humidity,but loss of perishable foods in freezers and fridges. Kindly send your technicians to rectify the power outage at Freretown Kisuni,Mombasa around the CDF hall and its environs. There has been no power in the neighbourhood since last night 7 pm 4th January. No power in Kasarani yet there does not seem to be notice for outage! no power in mutomo town kitui county for the last 24 hours!! In south b,sore drive,golden gate road there are some house's with no power.KPLC kindly assist. stima#2406134#no power in the house. Ac no. 2218522 sparks at poll. Lights flickering in house and gone off. No power in umoja inner core, kindly assist.